The AS220 Mercantile Block. Photo by Heidi Gumla BDVW Architects. 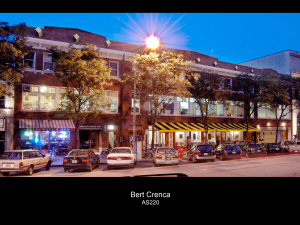 Umberto Crenca established AS220 in 1985 to provide a local, unjuried, and uncensored home for the arts. Since its beginning stages in a loft on Weybosset Street As220 has grown steadily and the organization now maintains three buildings, providing: fifty eight artist live and/or work spaces, four exhibition spaces, a print shop, a media lab including a black and white darkroom, a fabrication lab, a stage, a recording studio, a black box theater, a dance studio, and a popular bar and restaurant. 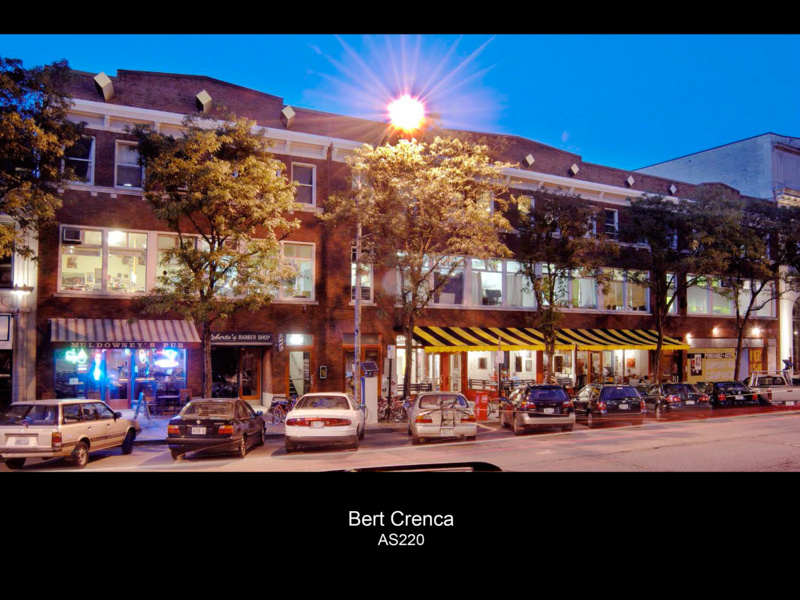 AS220′s permanent establishment in the City’s downtown is widely recognized as one of the first significant steps in the creation of the Providence Arts and Entertainment District. Barnaby Evans is an artist who works in many media including site-specific sculpture installations, photography, film, garden design, architectural projects, writing and conceptual works. His original training was in the sciences, but he has been working exclusively as an artist for more than twenty-five years. Barnaby created WaterFire in its first version in 1994 in Providence as First Fire to celebrate the tenth anniversary of First Night Providence. In June 1996, he created Second Fire for the International Sculpture Conference and the Convergence International Arts Festival in Providence. 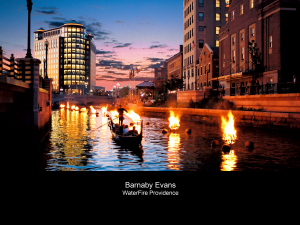 With hundreds of volunteers and the broad support of the community he established WaterFire as an on-going installation in 1997. 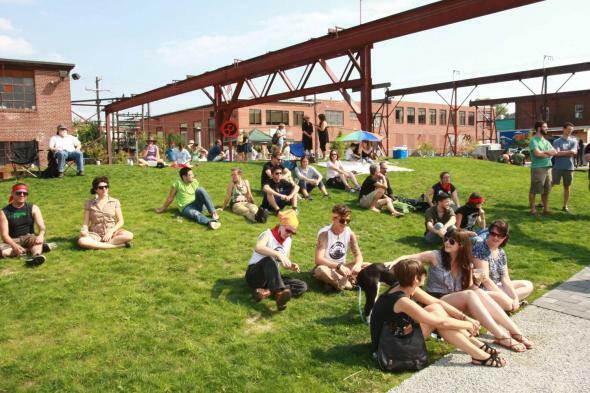 Photo by Annali Kiers courtesy of the Steel Yard. Clay Rockefeller is co-founder of the Steel Yard with Nick Bauta. 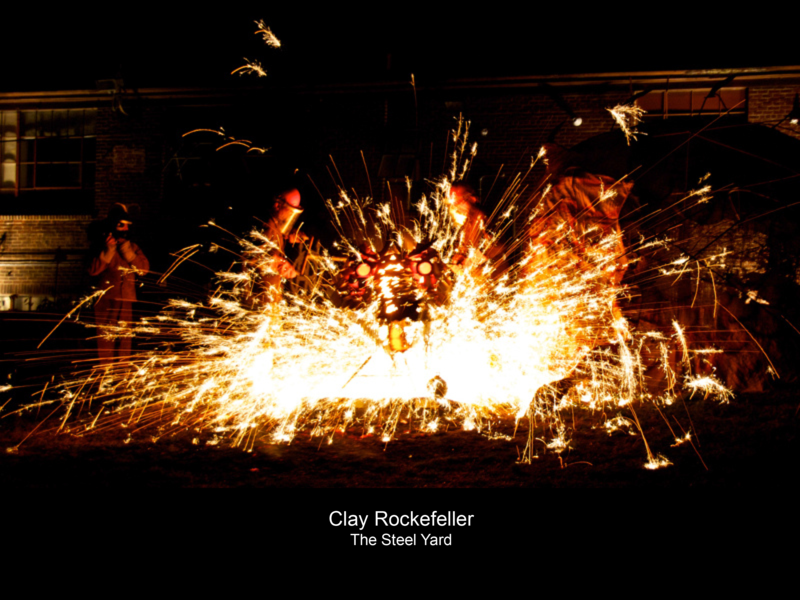 Rockefeller also helped launch the Monohasset Mill Project, which transformed a former steam engine factory into a 39-unit artist live/work complex adjacent to the Steel Yard. An artist, activist, entrepreneur, and philanthropist, Rockefeller has served on the boards of, or acted as consultant to, organizations such as AS220, Olneyville Housing Corporation, Betaspring, the David Rockefeller Fund, and Rockefeller Philanthropic Advisors. 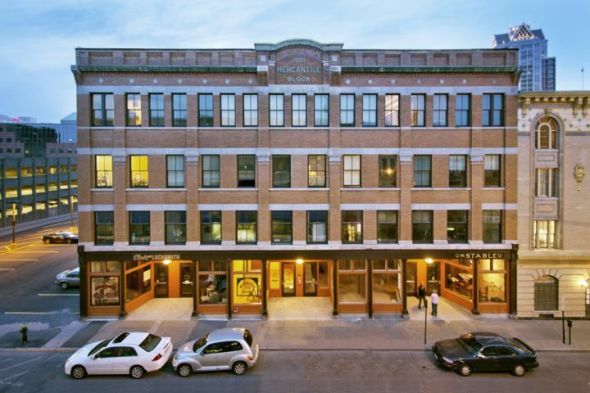 Clay is also a partner in The Dean Hotel, opened in 2014 The Dean Hotel transformed a former brothel into a niche hotel with a focus on highlighting the work of artists. 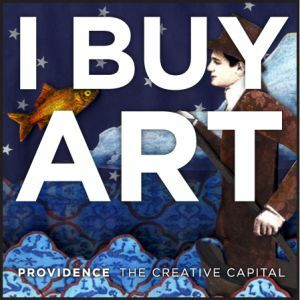 BUY ART Providence, the City’s own creative campaign to encourage local art buying. Lynne McCormack serves as the director of Art, Culture + Tourism for the City of Providence, Rhode Island. In her 16-year tenure as a city arts administrator she has moved through the ranks, from production coordinator to a trusted member of the mayor’s cabinet. Since assuming the director position in 2006, Ms. McCormack has successfully transitioned the department from an office of cultural affairs focused on public programming to a community and economic development agency. She forged a series of partnerships that have resulted in a destination branding campaign, a summer workforce development program for youth, citywide arts festivals and increased funding for artists and organizations throughCDBG, HUD, transit and city economic development funds. 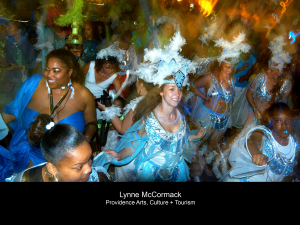 Recognized as a leader in the field of creative economic development, she is regularly invited to speak about the City of Providence’s cultural infrastructure at conferences across the country, regularly participates in Americans for the Arts Local Arts Leadership gatherings, led a session at the 2013ArtPlace meeting in Miami, and has served on the Local Arts Agency panel for the National Endowment for the Arts. She is a member of the Mayor’s Economic Development Cabinet and serves on the board of the Providence-Warwick Convention & Visitor’s Bureau. Ms. McCormack earned her BFA from Rhode Island School of Design.